INDUSTRY.co.id - Jakarta - PT Sri Rejeki Isman Tbk (SRIL) will conduct additional capital without HMETD by issuing 1.859 billion shares at an exercise price of Rp353.2 per share. 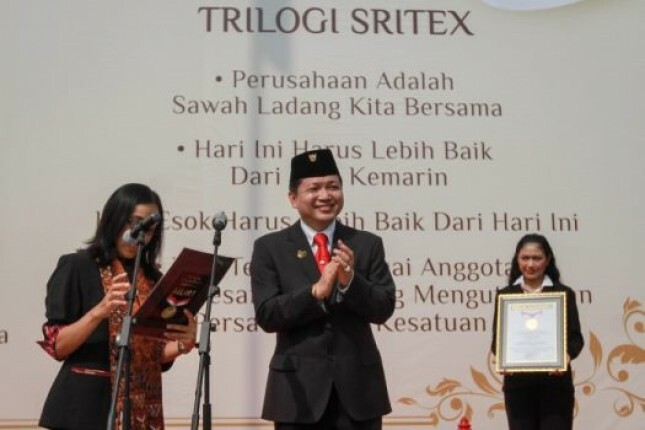 President Director of Sritex, Iwan Setiawan, said the funds obtained from this corporate action for working capital and general company needs or for expansion in the textile industry include takeover of companies engaged in the textile industry. The Company considers the PMTHMETD implementation plan to strengthen the capital structure which will ultimately support the business of the company and its subsidiaries, and increase the number of publicly traded shares so that after the end of the required 12-month lock-up period, it can improve the company's liquidity. To realize this celebration, the company will hold an EGMS on November 6, 2017. All new shares to be issued will be taken by the company's main shareholder, PT Huddleston Indonesia (HI). Currently, HI has as many as 10.425 billion shares of the company or Rp1, 045 trillion which is 56.07% of the total issued and paid up capital of the company. This is in line with HI's commitment to develop the company. One of the commitments given by HI is in the form of funding for the company's equity. In addition, HI has certainty of funding that can be given to the company.